Careington has partnered with the nation’s largest eye care provider, VSP Vision Care, who has been offering world-class products and services for more than 60 years. 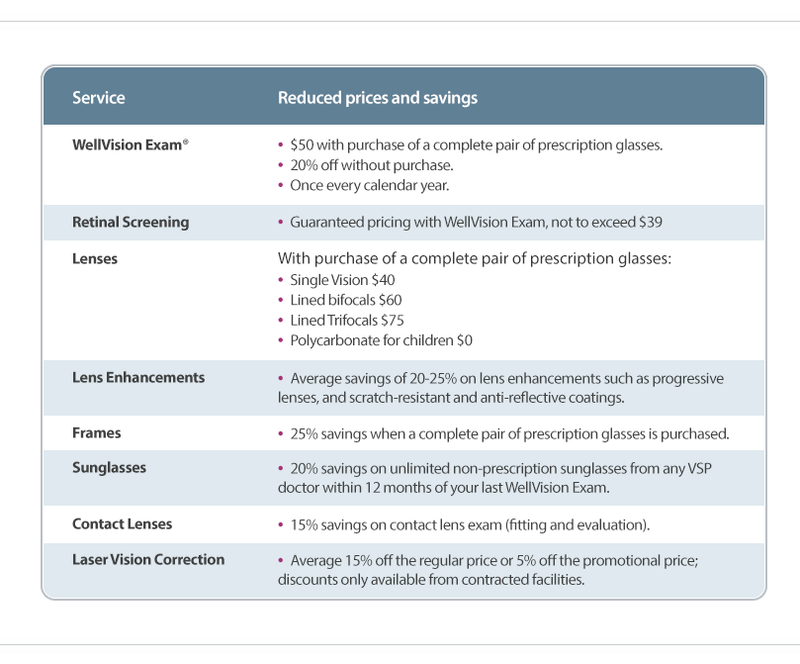 ** This cost is only available with the purchase of a complete pair of prescription glasses; otherwise, members receive 20% off an eye exam only. ***Applies only to contact lens exam, not materials. Member is responsible for 100% of the contact lens material cost. ©2019 Affinity4. All rights reserved.